Acrid smoke stings Seraphine’s eyes. Her hometown lies in ruins. 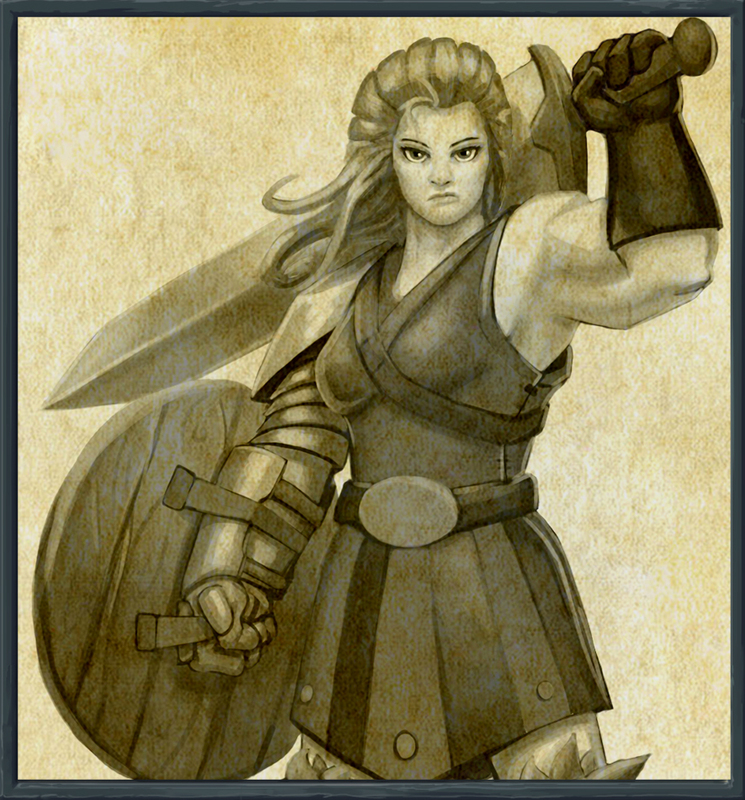 She is younger in this vision, and she lacks her brilliant silver armor, but you recognize her. 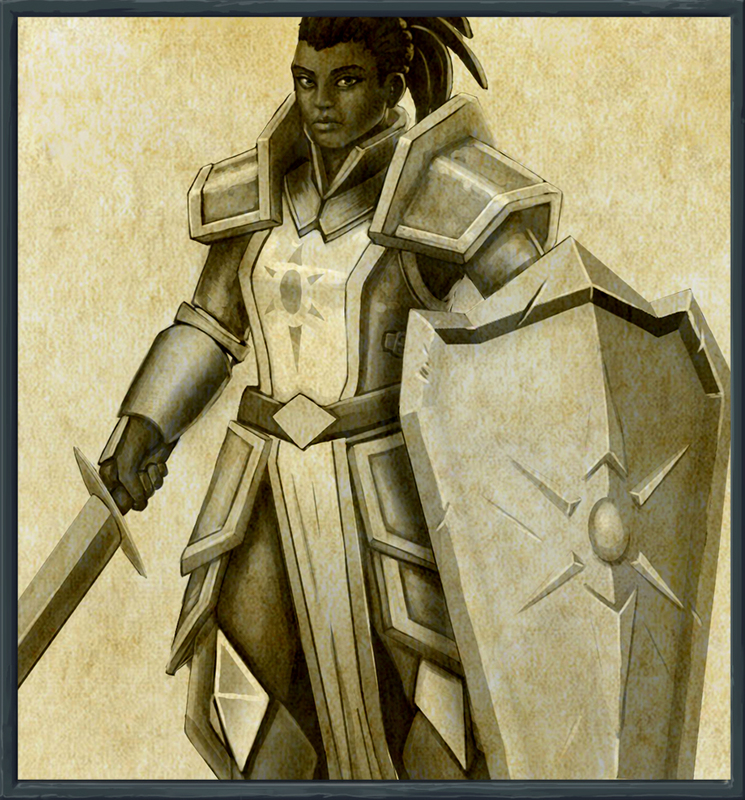 She is the Paladin. She holds on to a lightly tattered stuffed cat plush, it’s ears have been completely scorched off. She wanders through the rubble that was once a street, in the ruins that were once a city. It had happened slowly, but also in an instant. The full moon had shone that night when The Lich, Laksalis, descended on her city. Everything was gone, and the few remaining survivors walk around in an comparable stupor. Something in the moonlight captures Seraphine’s attention. She crawls to a mound of ash, wiping away the soot to reveal the object underneath. Her heart wrenches as she sees the brilliant silver of her grandfather’s sword and shield uncovered. Before the rampage of Laksalis, they had hung proudly over the hearth of her and her grandfather’s home, symbols of the honor and justice he had taught her to hold in her heart. She places her toy on the ground and picks up the equipment. It feels heavy in her small hands, but she vows to carry them with her forever. Her grandfather taught her that life was like a parade and that, one day, all beings must reach their route's end. Tears from her youthful eyes stream down her face. Even knowing that he is now celebrating in Upperrealm, she cannot help but mourn for him. She promises the night sky that she'll do everything she can to make him proud. She also places a hand on her heart and swears to go wherever necessary to make sure Laksalis meets justice. Seraphine finds The Guild not long after. A Warrior trains in the compound, swinging her mighty sword as if it had the weight of a feather. You recognize her blonde braid and stern face; her name is Elyssa. She exits the training grounds, handing her sword to the Blacksmith for repair. A small piece of her hilt snapped during her last trip to The Dungeon, causing imbalance and poor performance. The Blacksmith promises to have it fixed before the next sunrise. Elyssa recalls the betrayal of her former tribe member. So many years of companionship, shared secrets, hopes and dreams. They promised to leave their mundane village, to take to the road and travel to every corner of Mynerva. Years of dreaming about a life of freedom had led to this evening. She has a few hours before she must meet Oris at their usual spot, so she decides to hunt some additional rations. The sun is barely visible above the horizon as Elyssa flops on the grass in their secret spot, a clearing in the forest just on the outskirts of the village. She proudly pats her backpack, filled with extra meat, onions, and tomatoes. They’ll make for fine skewers to feast on, their first meal as free wanderers. Fireflies land gently on her fingertips as the stars above her glisten brightly, even through the light cover of cloud. She feels so happy. Soon, this will be her reality. No one to tell her where to go or what to do. Beautiful independence. The hours tick on. The air turns colder as the cricket chirping becomes louder. Elyssa checks her supplies again for the fifth time, then returns to her impatient pacing. Oris did say to meet at this spot, on this day, at this time, right? She was sure of it. She could never forget such an important detail. She starts to feel panicked. Has something happened to him? Oris had already gone. He never returned. Meowing pulls Elyssa from her memories. Cerberus is nudging at his bowl, hopeful for a second helping. Elyssa smiles at him sadly, ignoring the knock at her door from Remi to come to The Tavern for dinner. Quest: Take the Jewel of Truth to a hard (• • •) dungeon. At the start of the game, exile 4 heroic dice. When victorious, proceed to the next chapter.